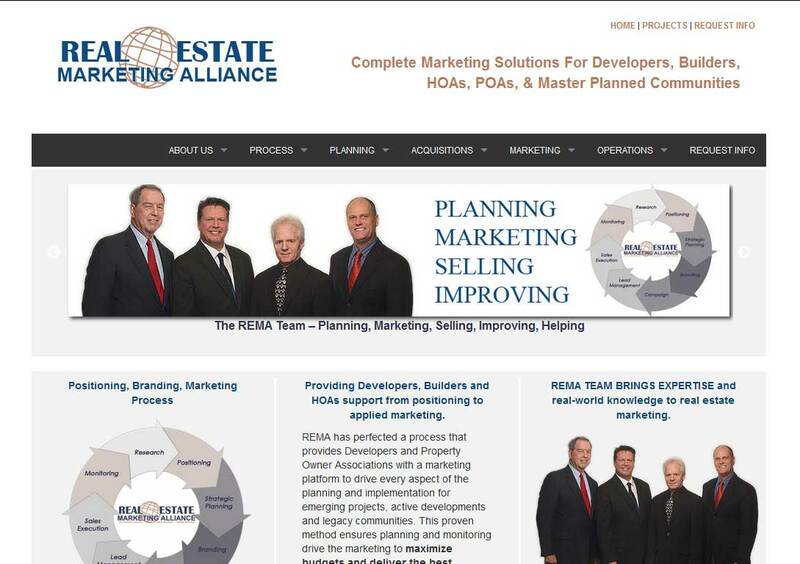 DESCRIPTION: The Real Estate Marketing Alliance website was designed and developed by PTC Computer Solutions. Providing Developers, Builders and HOAs support from positioning to applied marketing. REMA has perfected a process that provides Developers and Property Owner Associations with a marketing platform to drive every aspect of the planning and implementation for emerging projects, active developments and legacy communities. This proven method ensures planning and monitoring drive the marketing to maximize budgets and deliver the best possible return on marketing expenditures. You can find out more by going directly to their personal website, www.realestatemarketingteam.us, or contact them directly at info@parkerassociates.com or (904) 992-9888. ← We were happy to trade out some rugs for trees thanks to PTC.